Princess Tabby is no scaredy-cat! The day of the Peace Parade has finally arrived, and Princess Tabby can't wait to ride on the Royal Boat! 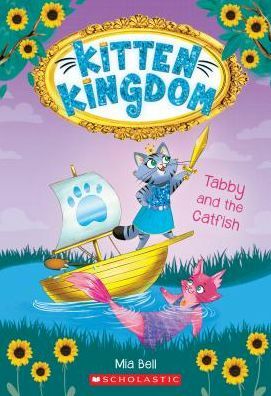 But when King Gorgonzola steals the Torch of Peace, Tabby and her brothers must go underwater to find it. While in the lake, the Whiskered Wonders find the Torch -- and catfish! The creatures just might be able to help. Will Tabby and her new friends be able to bring peace back to Mewtopia?